and suppliers of fresh farm produce. Where possible we produce everything ourselves, either on the Farm or on the land, or in one of our three up-to-date bakery & production areas. 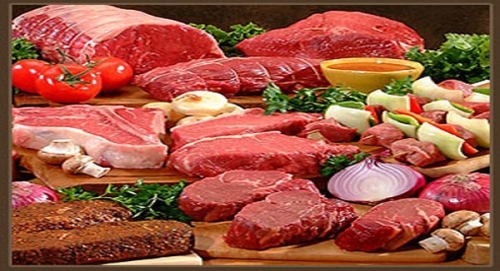 Butchery: We stock an enormous range of fresh meats & poultry, which can be purchased direct from our farm shop. We pride ourselves and have built our reputation on quality, which is why we have grown into one of the regions leading suppliers of fresh meat to: Pubs, Clubs, Restaurants, Hotels, Schools, Nursing Homes & Retail Outlets. We also provide a bespoke butchering services, which allows our customers to have their meat prepared for them to their exact requirements, either in weight or in price!!. Throughout all the seasons of the year we always always have a glorious array of salads, vegetables and fruit – delivered fresh every day and sourced locally where possible. Where possible all our fruit and veg is grown organically using no pesticides or chemicals giving you the the most natural taste. We also only have our veg delivered when the shop requires it, therefore the produce is at is freshest. Our farm shop has free on site car parking, and our friendly knowledgeable staff are always happy to provide advice and help point you in the right direction. Look out for our weekly Special Offers - outstanding value saving you £'s. Our Farm Shop supplies local schools, restaurants, pubs, retailers and residential homes with high quality fresh produce. Our bakery and confectionery room has become very popular with both the local communityand retailers ........ all of which are home made at the farm shop. From turnovers, through to doughnuts, vanilla slices and our famous meat and fruit pies the list is too mouth watering and too extensive to list, however be warned just thinking about these delights could put you on an few extra pounds. The bakery also has fresh bread daily and the best pork pies you have ever tasted. We can also bake for any special occasion or party . Our bakery also producers trade quantities of pies, sandwiches and confectionary for the hotel, restaurant and retail trade- again ask a member of staff for details. During the summer months we naturally produce an excellent range of meat and poultry for a barbeque, whilst the bakery can produce any quantities of fresh bread sticks and tea cakes for a mouth watering burger. For your convenience we also have frozen food section in the farm shop. By selling some frozen foods we can offer our customers particular produce even when it is out of season! During the summer months we naturally produce an excellent range for the barbeque, both frozen and fresh. We provide a quality butchering, packing and freezing service to the catering trade in all parts of West Yorkshire. We can work with budget constraints, and have built a reputation for a first class service, with high standard and quality of produce. Call us or visit our website for more information. J B Wilkinson & Sons (Quality Butchers) Ltd.